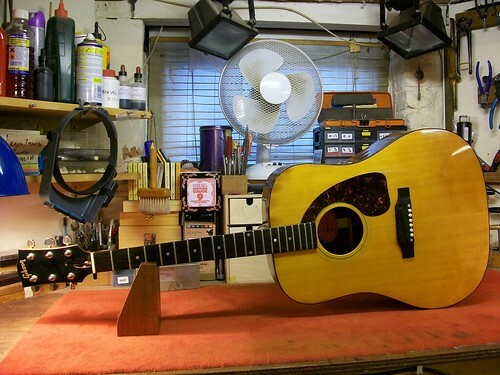 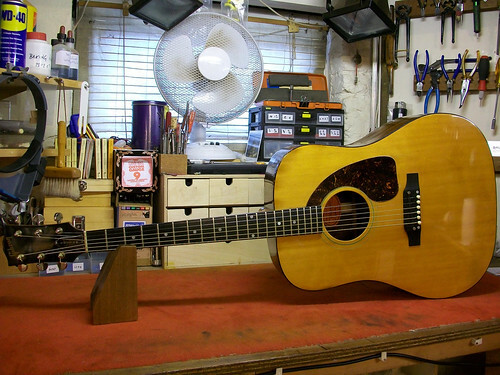 This Gibson Heritage acoustic dates back to the 1960s. 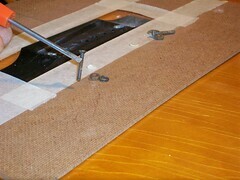 The bridge is being held in place by two bolts through the bridge and soundboard with washers and nuts on the inside. 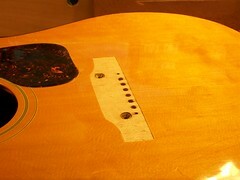 The two bolts a hidden under two pearl dot inlays. 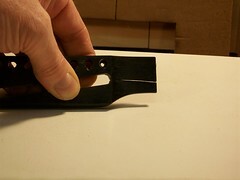 These have to be removed to get to the screws. 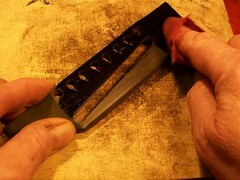 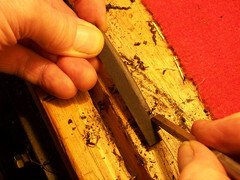 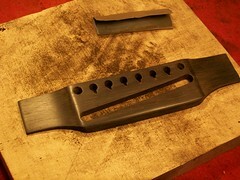 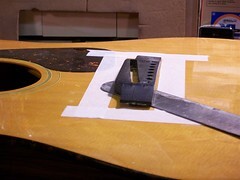 After attempting a few inlay removal techniques the dots would not yield and, unfortunately, have to be drilled out. 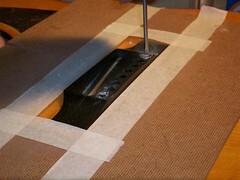 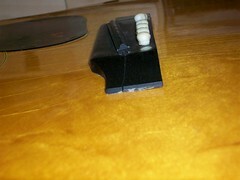 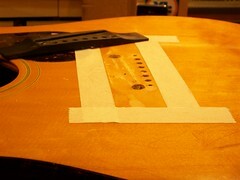 The Split in the soundboard is clearly visible here. 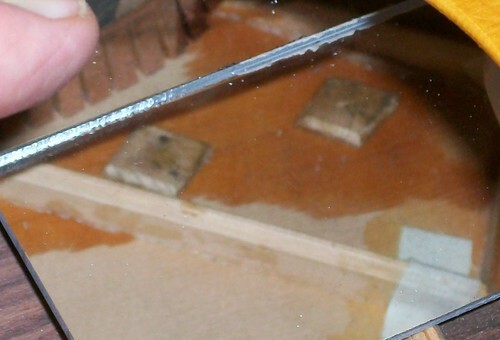 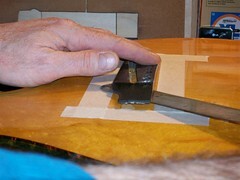 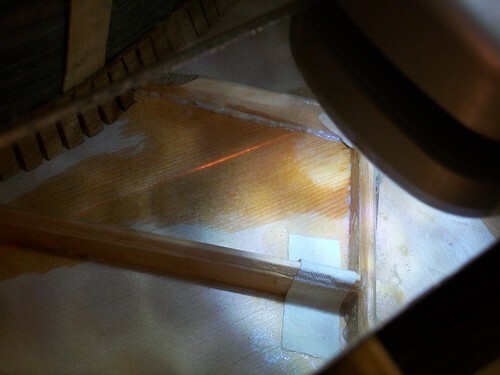 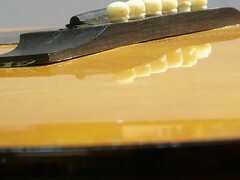 This photo was taken through the soundhole using a mirror image to reveal the split. 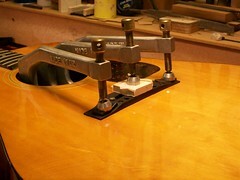 in Austin with the same problems, cracked bridge, plus a neck reset, and a small split repair.